How to increase linkbaiting for your website? The Customize Windows > Wordpress and SEO > SEO tips > How to increase linkbaiting for your website? 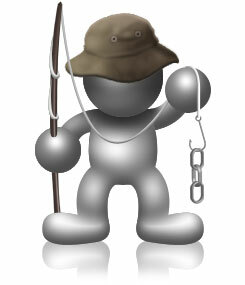 Link bait can be an extremely powerful form of marketing as it is viral in nature. The term has a negative or dismissive connotation as if it is extremely bad and of black hat SEO technique. Actually, Link baiting is a method to attract links through internal resources of the blog – interesting content, nice titles, screenshots etc. We often get links from different blogs, forums, we guess you get too. They can be understood via trackbacks and pingbacks. This Article Has Been Shared 8802 Times! Articles Related to How to increase linkbaiting for your website? Title: How to increase linkbaiting for your website? Cite this article as: Abhishek Ghosh, "How to increase linkbaiting for your website?," in The Customize Windows, May 7, 2011, April 19, 2019, https://thecustomizewindows.com/2011/05/how-to-increase-linkbaiting-for-your-website/.